Educational experiences Many of our sports programs offer language courses and promote cultural awareness and intercultural harmony. Young athletes who enroll in our programs and sports camps learn fundamental values and inspirational life lessons. By living together with other athletes from all over the world, they learn to respect others, to share with others, and even the importance of tidiness and organization. Sports experiences Student athletes form stronger values and live healthier lifestyles. 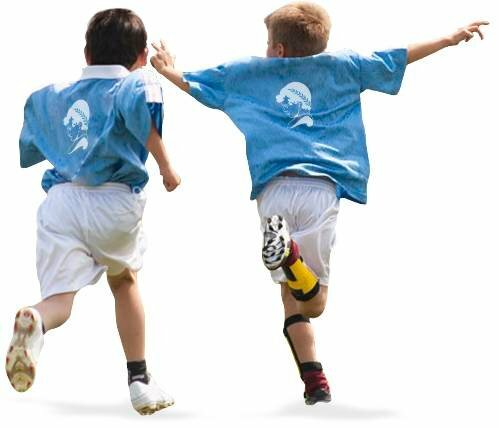 Our sports camps and programs are designed to improve young athletes’ physical fitness, technique, and mental strength on the field while at the same time teaching values such as discipline, hard work, and responsibility. Life Experience Our sports programs offer young student athletes the life experience they need to grow into mature, responsible, confident adults. Participants in our sports camps and programs spend time away from home where they have the opportunity to grow and mature as self-sufficient individuals in a safe and supervised environment. At Ertheo, we offer the best sports programs and educational programs to suit all levels and objectives. We offer everything from long-term intensive academic and sports training programs to short-term creative, artistic, and/or language-oriented summer camps. Soccer programmes for young footballers or for soccer teams. Other more specific programmes available such as summer soccer camps with or without language classes and full-year training programmes at High Performance Soccer Academies. For boys and girls from 8 to 21 years old. Tennis training programs for boys and girls of all skill levels from 8 to 21 years old. Summer tennis camps with or without language classes. Weekly programmes or year-long programs in High Performance Tennis Academies. Golf training programmes for boys and girls from 8 to 21 years old for all skill levels. Summer golf camps with or without language classes. Short-term programmes or long-term programmes in High Performance Golf Academies. Advice, promotion and application processing service for talented young sports people who are interested in applying for a full or partial scholarship to study and train for a year at an American university. Summer camps focused on other sports such as basketball, equestrian sports, karting, motocross and mountain biking, amongst others. We also offer high performance academies for basketball. We also provide performance art camps offering singing, dancing and music; creative camps featuring magic skills and entrepreneurship; motor sport camps for karting and motocross enthusiasts; and adventure sports camps offering downhill biking, skateboarding, BMX, scooter, nature and English. The first Ertheo Bullying and Sports Forum to raise awareness about bullying in schools and the many ways that sports can offer solutions to the problem. Discover how we use sport to help the most underprivileged youngsters gain access to education, while ensuring gender equality and promoting healthy lifestyle habits.